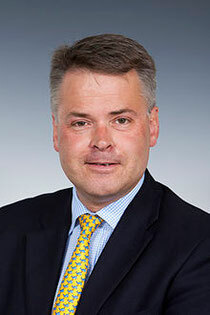 We are delighted to announce that the former Children's Minister, Tim Loughton MP, will be our guest of honour at the official launch of the Jersey Centre for Separated Families, the new community based service providing support and information for families going through divorce or separation. Mr Loughton, who first entered the UK parliament as MP for East Worthing and Shoreham in 1997, was Parliamentary Under-Secretary of State for Children and Families from 2010 to 2012. Both inside and outside parliament, he is a passionate advocate for children. As Children’s Minister, he was at the forefront of moves to reform family law to ensure that both parents play as full a part as possible in the upbringing of their children, however acrimonious a split may have been. He also argues that fatherlessness is one of the biggest issues of our time. 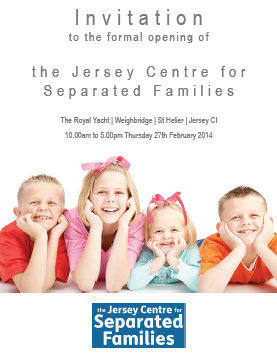 Also present at the event will be Karen and Nick Woodall from the Family Separation Clinic in London. 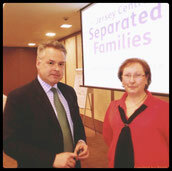 Karen and Nick are both family separation practitioners and have helped establish the new Jersey Centre. They are also both authors and will be delivering workshops at the launch around the issue of parental alienation and high conflict family separation. 10.00am and 5.00pm on Thursday 27th February 2014. It will offer attendees the opportunity to learn more about our services and to meet our guest speakers.